This monoclonal antibody was raised against purified human C3. It is specific for an antigen expressed on the C3d domain of C3 and is reactive to all C3d-containing fragments of C3, but not with intact C3 in its native form. Quidel's C3 (C3d) monoclonal antibody has been used in a variety of experimental techniques including EIA and Immunohistochemistry. Please contact Quidel Technical Support for details on these or other applications. Tamerius, J.D., Pangburn, M.K., et al. 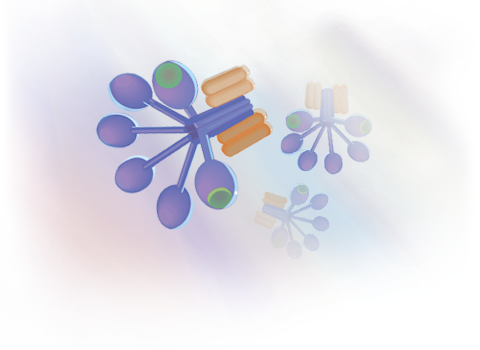 Detection of a neoAntigen on human iC3b and C3d by monoclonal Antibody, J. Immunol. 135:2015, 1985. Tamerius, J.D., Pangburn, M.K., et al. Selective inhibition of functional sites of cell bound C3b by hybridoma derived antibodies, J. Immunol 128:512, 1982. Rogers, J., Cooper, N., et al. Complement Activation by ß-amyloid in Alzheimer disease. PNAS 89:10016-10020, 1992.